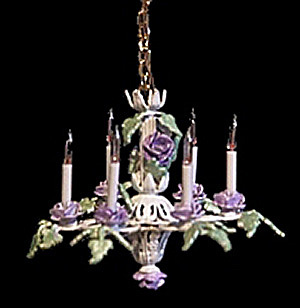 This elegant crystal chandelier measures about 3 inches high and about 2 and 1/2 inches wide. It is made up of over three hundred high quality Swarovski crystals. The color is unique in that the crystals glow with a subdued gold cast.